Jawer has spent the past 10 years delving into the subject of how bodily feeling underlies consciousness – and how the energy of feelings plays an integral role in immunity, stress reactions, and numerous psychosomatic conditions, including migraine headache, synesthesia (overlapping senses), chronic fatigue, phantom pain, and post-traumatic stress disorder. Most startlingly, he and his coauthor, Marc Micozzzi, MD, PhD, argue that paranormal perception -- apparitions, telepathy, poltergeist disturbances, and ‘out of body’ experience -- also arises from distortions in the way individuals process feeling. “Although they have long resisted explanation, each of these phenomena involves a discernable pattern and is amenable to scientific inquiry,” Jawer posits. A professional communicator, Jawer has, over the last twenty years, written on diverse subjects for trade and professional associations as well as the Federal government. His guidebooks have sold more than 75,000 copies…he has been quoted in the Wall Street Journal and New York Times…he has presented to scores of audiences nationwide…and composed remarks delivered verbatim by a sitting U.S. President. His success stems from the ability to master specialized knowledge, frame it in a way that makes it widely understandable, and put it across compellingly. Jawer has diligently applied this strength in the development of The Spiritual Anatomy of Emotion. Sifting through reams of research in disciplines ranging from biology to anthropology, he consulted with numerous scientific authorities and conducted his own research – findings that have been published in a trio of peer-reviewed journals. The result is an entirely fresh take on the mind, on emotion, on immunity -- on all the elements that make us sentient and, indeed, human. Jawer’s thesis came together gradually, and from a most unlikely source. In the course of his 'day job' at the time – which was developing indoor air quality guidance for office building owners and managers – he was researching so-called Sick Building Syndrome and another poorly understood condition called Multiple Chemical Sensitivity. (In the former, groups of people feel unwell inside buildings for no immediately discernable reason; in the latter, people claim to be ‘allergic’ to trace amounts of chemicals, aromas, even electricity.) Jawer read various accounts and went on to speak with people who said they were affected by these conditions. Rather than chalk up their complaints to a hyperactive imagination or some shade of mental illness, he suspected they might have a threshold sensitivity much lower than average. When several individuals confided to him that they’d had apparitional experiences, the wheels started turning. Since then, Jawer has delved deeply into the possibility that a variety of odd sensitivities may have a common neurobiological foundation – stemming at least as much from the body as the vaunted brain. The Spiritual Anatomy of Emotion blends cutting-edge scientific concepts, first-person accounts, and systematically gathered data into a pioneering explanation of perceptions that people have had for centuries, and yet have been told by science to ignore, doubt or dismiss. “By taking renewed account of our bodily senses, bodily energy and bodily feeling, we have the means to understand experiences that would otherwise elude and confound us,” Jawer believes. The Spiritual Anatomy of Emotion supplies a bold and timely counter to neuroscience’s assertion that the brain rules the body and alone determines the self. But the mind is not solely mental, emphasizes Jawer. “The bedrock determinant of who we are is our sensory apparatus, the experiences that inform us, and the flow of feeling that literally moves us.” The Spiritual Anatomy of Emotion offers a fresh – and much needed – market adjustment to the brain-dominated worldview of our age. Jawer resides with his wife and children in suburban Washington, D.C.
Marc Micozzi – a national leader in the emerging field of complementary, alternative and integrative medicine (CAM) – is medical editor for The Spiritual Anatomy of Emotion. He is professor of physiology and biophysics at the Georgetown University School of Medicine. Over his career, Dr. Micozzi has pushed for ever higher standards of research, investigation and practice in CAM. He has also worked to create science-based tools for the health professions to be better informed and productively engaged in this growing field of health and medicine. Dr. Micozzi was the founding editor-in-chief of the first U.S. journal on the subject, the Journal of Complementary and Alternative Medicine: Research on Paradigm, Practice and Policy (1994). He organized and edited the first U.S. textbook, Fundamentals of Complementary & Alternative Medicine (1996), now in its fourth edition by Elsevier. Additionally, he has served as series editor for Elsevier’s Medical Guides to Complementary and Alternative Medicine, with 18 titles in print on a broad range of therapies. In 1999, he edited Current Complementary Therapies for Current Science Press, focusing on contemporary innovations and controversies, and the Physician’s Guide to Complementary and Alternative Medicine for American Health Consultants. 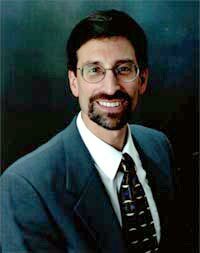 Dr. Micozzi has organized and chaired continuing education conferences on the theory, science and practice of complementary and alternative medicine, with events held in 1991, 1993, 1995, 1996, 1998 and 2001. He co-chaired these conferences with former Surgeon General C. Everett Koop in 1996 and Dr. Dean Ornish in 1998. Prior to his work in CAM, Dr. Micozzi conducted and published original research on diet, nutrition and chronic disease. He worked as a Senior Investigator in the Cancer Prevention Studies Branch of the National Cancer Institute from 1984-1986, followed by his appointment as Director of the National Museum of Health and Medicine (affiliated with the National Institutes of Health). He was recognized for his work through his selection as recipient of a young investigator award at Walter Reed Medical Center in 1992. Concurrently, he was appointed as a Distinguished Scientist in the American Registry of Pathology, an affiliated research and educational organization. In 1995, Dr. Micozzi returned to Philadelphia (where he had completed his medical and graduate training at the University of Pennsylvania from 1974-1983) to serve as executive director of the Center for Integrative Medicine at Thomas Jefferson University Hospital. The Center brings together the best of conventional medicine with complementary approaches to patient care. Its clinical practice bridges mainstream medicine and its academic program advances research and education in alternative and complementary therapies. 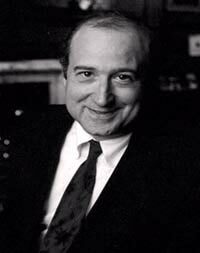 Dr. Micozzi also served as Executive Director of the College of Physicians of Philadelphia. He was highly distinguished in managing all aspects of the College’s public educational programs and operations. Among his initiatives was creation of the C. Everett Koop Community Health Information Center, which provided state-of-the-art information to consumers on health and wellness. A White House Commission recognized the Center’s achievements in 2001. Based in Washington DC, he now works to educate policymakers, the health professions, and the general public about needs and opportunities for integrative medicine to benefit all Americans. Dr. Micozzi is a frequent speaker in this growing field. He has been quoted widely in print (the New York Times, Washington Post, Miami Herald, Chicago Tribune, Los Angeles Times) and has appeared on numerous television broadcasts (Good Morning America, CBS Evening News, CNN, C-SPAN, National Public Radio). He lives in Bethesda, Maryland and Rockport, Massachusetts.